At PFC, we take all the time needed to carefully analyse and correctly diagnose your injury. We work with you to ensure you fully understand the underlying root causes of the injury and what suitable treatments and exercises are available in the short and long term. With this we progress towards sports and occupation specific strengthening to build better outcomes for our clients. We have a close association with Surgeons and vast experience in dealing with surgeries of the spine and limbs. We utilise a team approach alongside your surgeon to ensure you are given the best plan in building strength and recovering from your surgery. We know that operations can cause a lot of physical stress, as well as weakness surrounding the affected area. For this reason, post-operative care is essential to ensure the continued success and full optimisation of the operation, whilst facilitation a speedy recovery. PFC will liaise with your surgeon to ensure that only the very best care is provided for you post-surgery. Morgan Deegan is The Physio Runner. 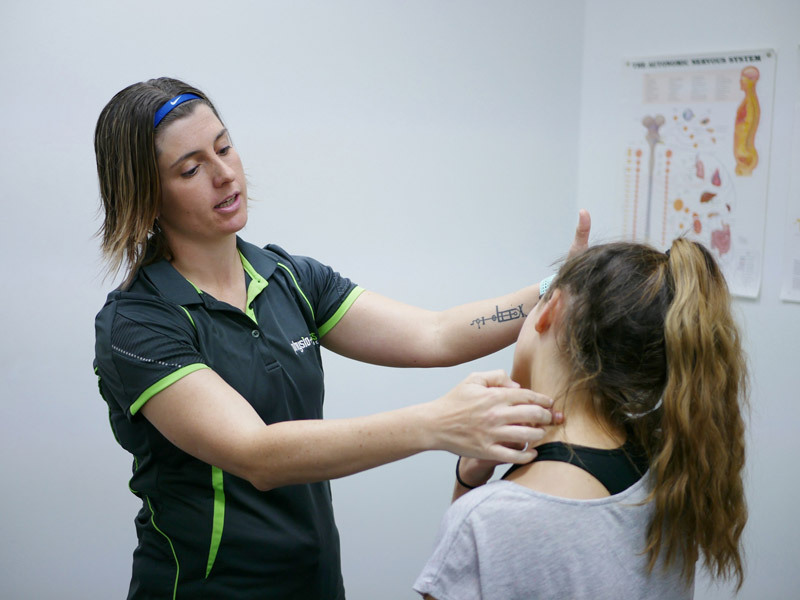 She is passionate about being a physio and helping people get the best out of their body. Morgan has a true love for running which is why she called herself the Physio Runner. Morgs is currently building a base of literature for people to come to for running advice. Watch this space as it builds up! Bryce Kefford and Morgan Deegan have a special interest in sports related injuries, and love keeping local sportsmen and women out there, be it on a field, the court or in the gym. Ariana Axarlis has a special interest in women’s health and pelvic related issues. This may be due to child birth, gastro-intestinal issues, or other concerns. She will work with you to get the best long term outcome and give you the education required to fully understand your body. Q. Do I need a referral to see a Physio? A. No. Physiotherapists are a first contact provider for injury management and rehabilitation. Many other health providers do refer to Physiotherapists. Q. Does medicare cover for Physiotherapy? A. No, however with an appropriate Enhanced Primary Care (EPC) referral from your GP, you may be eligible for five medicare funded visits per calendar year. Q. Can I use my private health insurance? A. Yes. We have hicaps on site to cover your claim immediately. Please note these cannot be used for Pilates pack purchases, however they can be claimed with your private health insurer once your sessions have been redeemed. Q. How do I know which Physio to see? A. We pride ourselves on ensuring that each client receives a great service, and with that we each have different specialties. Please give the clinic a call to discuss which provider is the most appropriate for you.